$8,000 Total due from customer at lease signing. Lease payments of $1,699 for 39 months, plus tax, OAC. Based on stock #57140 and an adjusted capitalized cost of $111,635.85. Total due at signing of $8,000, includes first payment, license, registration, doc fees and cap cost reduction of $5,119.71. No security deposit required. At lease end, lessee pays excess wear, $.30/mile over 24,375 miles and $350 termination fee. Purchase option at lease end is $62,865 plus tax. 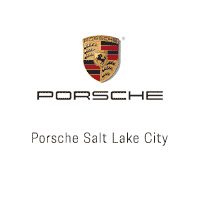 Porsche Salt Lake City’s new lease specials include 2yrs/20k miles of Porsche Scheduled Maintenance. Specials are based on nicely equipped cars that are in our inventory. Plus, the total due at lease signing is inclusive, based on a sales tax rate of 7.6%. Specials are OAC, based on tier 1 PFS credit approvals For more information, see our sales professionals. $5,000 Total due from customer at lease signing. Lease payments of $649 for 39 months, plus tax, OAC. Based on stock #57070 and an adjusted capitalized cost of $51,368.80 Total due at signing of $5,000, includes first payment, license, registration, doc fees and cap cost reduction of $3,381.61. No security deposit required. At lease end, lessee pays excess wear, $.30/mile over 24,375 miles and $350 termination fee. Purchase option at lease end is $34,794.40, plus tax. Porsche Salt Lake City’s new lease specials include 2yrs/20k miles of Porsche Scheduled Maintenance. Specials are based on nicely equipped cars that are in our inventory. Plus, the total due at lease signing is inclusive, based on a sales tax rate of 7.6%. Specials are OAC, based on tier 1 PFS credit approvals. For more information, see our sales professionals. While great effort is made to ensure the accuracy of the information on this site, errors do occur so please verify information with a customer service rep. This is easily done by calling us at 801-531-9900 or by visiting us at the dealership.